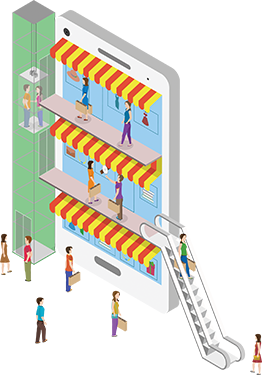 Collect and monetize your shopper data with WiFi marketing for shopping malls. 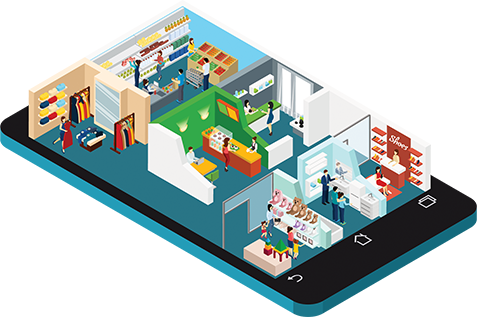 Provide value to your retailers with a self-serve digital platform to re-target the right shopper audiences at the right time. 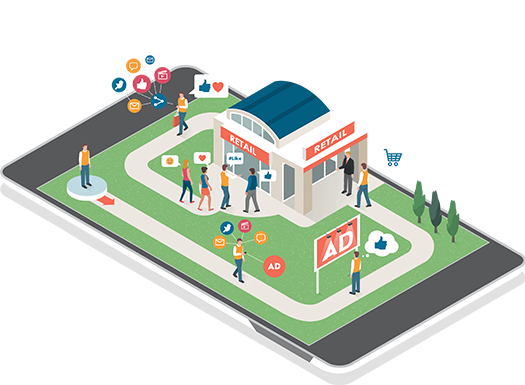 Analyze the ROI of each campaign by allowing your retailers target the right shopper group across all digital advertising channels including Google, Facebook, and Instagram. Create custom audiences based on demographics such as age, gender, and interests; shopping behaviour along the lines of first-time shopper, tourist, or frequent shopper; and categories like luxury shopper, family, or fashion aficionados. 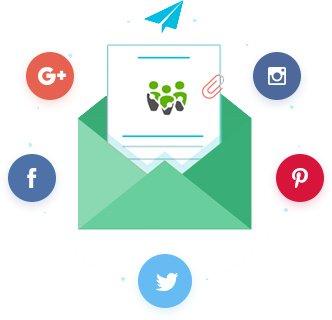 Run social, mobile, and email marketing campaigns to the right shopper group. Execute campaigns using the sophisticated, built-in marketing platform or connect to the CRM of your choice. Empower individual marketing teams with deep shopper insights and the ability to run personalized campaigns. Measure each campaign’s effectiveness with exact metrics on new and repeat shoppers. Let the big data insights drive leasing process, and attract the right tenant mix. Gain new insights in footfall and cross shopping behaviour across different retailers in the mall. 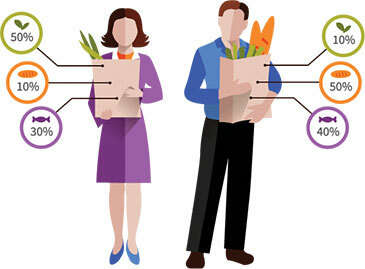 Understand shopper affinity across brands to identify and attract the right retailer mix. Empower leasing teams with measurable metrics across your portfolio. Upsell to desired brands to increase footprint across multiple centres. Assist the mall operations teams to understand shopping patterns, busy hours, and footfall across all areas in the mall. Schedule security and cleaning staff based on demand. Get notified with alerts for any predefined events such as area overcrowding in violation of fire codes. Integrate with your HVAC to adjust cooling and heating based on occupancy to reduce costs and be more environmentally friendly. Gather feedback from visitors to your stores, as they shop or after they exit. Know what they like and pinpoint concerns for improvement. Run surveys when shoppers connect to your WiFi or after their visits. Customize questionnaires based on their behaviour and demographics. Make surveys relevant to each store location. Convert visitors into loyal customers and build a direct relationship with them under your mall’s brand. Add hundreds of thousands of new opt-ins to your CRM. Integrate with your corporate data warehouse and CRM systems. Use powerful APIs to connect with any internal database or use pre-existing connectors to Salesforce, Adobe, SAP, Microsoft, IBM and other popular vendor solutions.